The contentious rule that allows a minority of senators to block legislation is again under fire, but Lt. Gov. David Dewhurst said the two-thirds rule will continue in the Senate for another session. 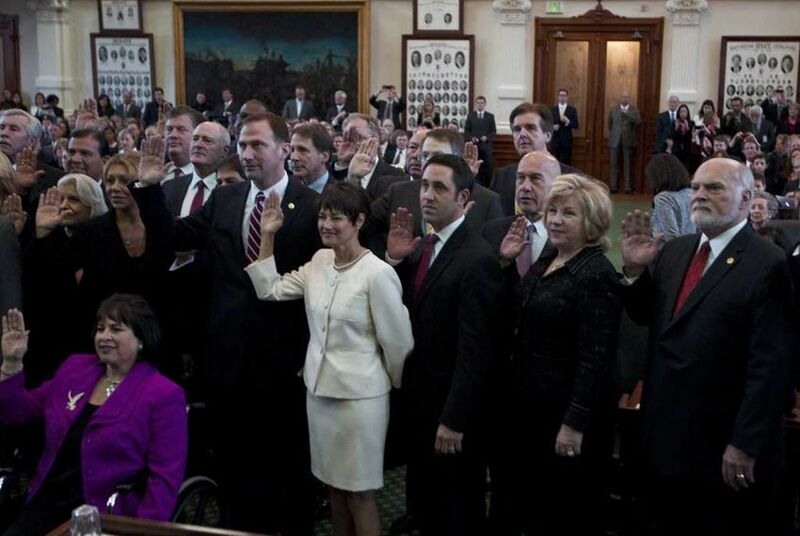 The two-thirds rule will guide the Texas Senate for another legislative session, Lt. Gov. David Dewhurst said Tuesday, though other senators said the issue was not fully settled. The controversial rule prevents bills from being brought up for debate on the Senate floor unless two-thirds of senators consent. That rule has allowed a coalition of 11 of the Senate’s 31 members to block measures that have the support of more than half of the body. Although the rule has often helped Democrats block legislation, it has also worked in the favor of other groups of like-minded senators, such as those from rural districts. Debate over doing away with the rule or curtailing it has emerged at the start of every session in recent years. Some conservative leaders have pushed for Republicans to dissolve the rule this session so that the GOP majority can move bills over Democratic opposition. Senators are expected to discuss the rules in depth at a caucus meeting Wednesday morning. The Senate usually votes on its rules for a session on the first or second day of the session. Speaking after the Senate adjourned Tuesday, Dewhurst said that the contentious issue of the two-thirds rule had already been settled and that he expected a vote on the rules on Wednesday. “In my conversations with the Senate Republicans and the Senate Democrats yesterday, I believe that’s where the senators are, to maintain the two-thirds rule for this regular session,” Dewhurst said. He did not fully rule out sidestepping the rule for a particular bill, as Senate Republicans have in the past on high-profile measures such as voter ID and redistricting. “The record is replete with different lieutenant governors in different sessions doing different things, and I’m not going to restrict anything lieutenant governors can do in the future," Dewhurst said. "But it’s my understanding that the two-thirds rule will be in place for this session." Earlier in the afternoon, several senators, both Democrats and Republicans, said that sticking points remain and that discussion at Wednesday’s caucus could lead to a protracted debate that pushes a vote on the rules to next week. Sen. Kel Seliger, R-Amarillo, said the future of the two-thirds rule was one of several issues that could still come up. Dewhurst said he was not aware of problems so serious that a vote on the rules would have to be postponed. The senate has 19 Republicans and 11 Democrats and one vacant seat due to the recent death of Sen. Mario Gallegos of Houston, who is likely to be replaced by another Democrat following an eight-way special election on Jan. 26.